Today, Titanfall is released to the public and unleashed on the world! 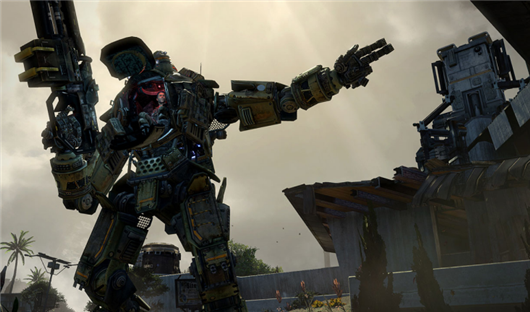 We're super happy to celebrate this milestone with our partnership at Respawn Entertainment and with the Official Titanfall Wiki. Through our partnership, we've not only worked hard alongside some truly brilliant contributors from the community to make sure the Official Titanfall Wiki is the best community resource available, but we also have been exerting full force on other tools, such as what can be seen at our YouTube Channel. Videos like our Beginners Guide' and basics for both Titans and Pilots are there to catch new players up to speed, while giving more experienced players tips to keep them competitive! We're always putting out great new original content, so be sure you are subscribed to our YouTube channel to see what we have coming out next for Titanfall and other fantastic games we have wikis for. We also have information for Titanfall's Burn Cards -- information that isn't widely available elsewhere. Want to know what the top five cards are? 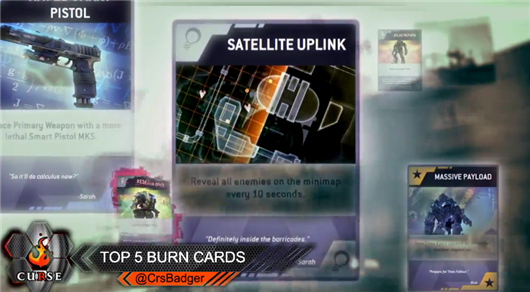 Check out the Top 5 Titanfall Burn Cards video Curse recently released! For more information about Titanfall's Burn Cards, this article written by SandovalCurse has all of the information you need to get started. Another excellent article by the same author is this great article regarding a hands on experience. Want to see what your fellow community members have been up to? Have a look at the Official Titanfall Wiki to see not only what they have been doing, but what the latest news from Titanfall is! Want to join the ever growing list of amazing contributors and editors? It's easy and everyone is welcome to join in! Take a look at the Help Wiki to see how you can get started. We're very happy to announce that one of our newest wikis is for the upcoming game from Respawn Entertainment, Titanfall! The Titanfall Wiki is ready and waiting for the community to have a hand in making it as amazing as the story behind Titanfall's developer. Respawn has an extensive history in the gaming industry. A long road and several hardships later, they now has a team of talented, humble people who are passionate about making fun games for the sake of it. Titanfall itself is just as impressive. AI is loaded into Microsoft's cloud, which will promise a smoother experience for pilots controlling their mechs and hacking into NPCs to fight for them. Titanfall will be released for both Xbox One and Windows 8. Interested in becoming involved with the Titanfall Wiki? All of our wikis are created for and by the community. Anyone who wishes to contribute to the wiki is welcome to do so! Please see the help page to get started!